The first process is “focus-exaggerate”. As usual, I’m not quite sure what it technically does but in this scenario, it adds a great watery texture over the top of the sample. Next up, my goal is shuffling the sound around a bit. There are many different options in (and out of) CDP but in this case I’ve gone for “blur-drunk”. It’s a nice effect capable of randomly rearranging a sample while keeping it click & pop free. There’s also a handy “duration” setting, so you can do a 10 second file and get a lot of variations if you like. At this point it just needs timestretching to be done. 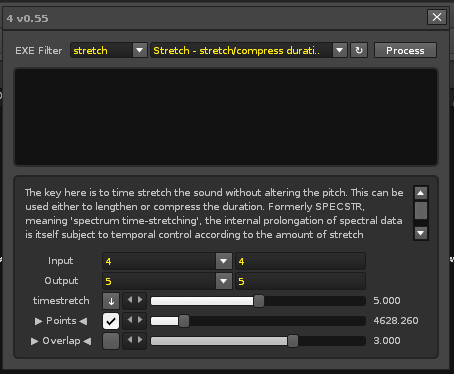 I’m using CDP’s “stretch”. 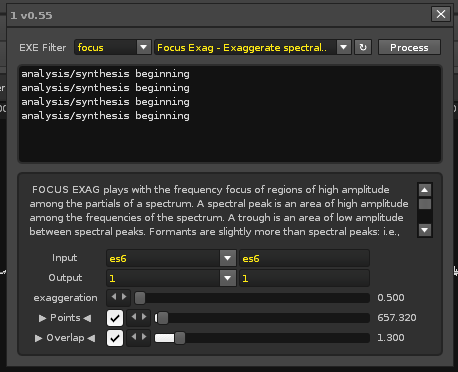 The “points” setting is crucial to get a result between natural (usually higher values) and synthetic (usually lower). I want to keep it somewhere in the middle ground here so it’s around 4k. (Max value is 16k.) 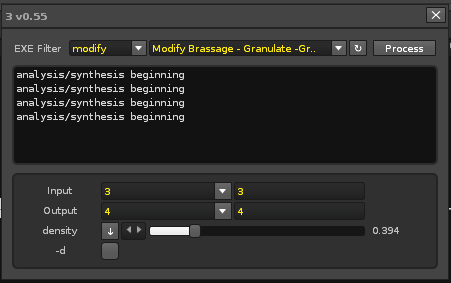 Also at this point the sound was quite harsh, so I compressed the high frequencies a bit. This is it. A bunch of samples, pretty random, but still coherent. With some jostling around, they could complement more musical elements and add extra texture to a song. 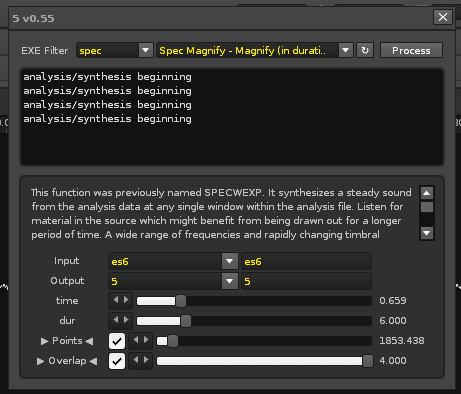 For demonstration purposes, I decided to add an extra sound to the background using the almighty “spec-magnify”. This is a super useful process that could be number one in my usage. It creates these sustained sounds with which you can do so many different things. Again you can usually finetune the naturality of the result using the “points” setting in the same way as above. And the demo. It’s WAY darker than I intented but you get the idea. You can do a lot more as I just used the sample as it is, slapped a delay and a lowpass filter on it and called it a day. 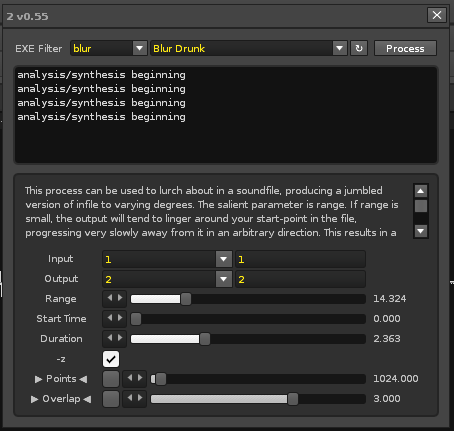 I also pitched the sustained sample down 16 semitones, added reverb and automated a lowpass on it. This is all for this week’s post, I hope you find it useful. 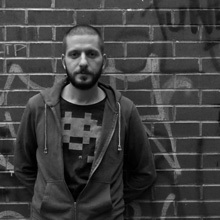 As always, all sounds are free to download, comments & feedback welcome.